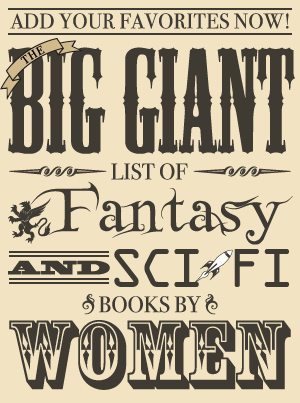 Now that it is New Year’s Eve and I know there is no way I will finish the lengthy book I am reading by tonight, it is time to compile the favorites list. 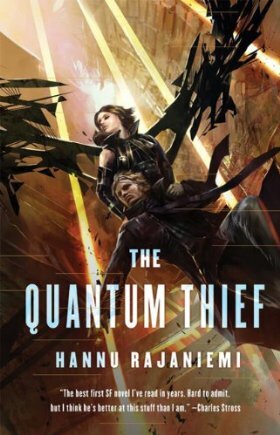 2010 was a very good year – sure, there were a few books I didn’t enjoy or thought were mediocre, but there were a lot that I really liked a lot. It was also a good year for blogging in other ways since I got to go to Book Expo America and the first Book Blogger Convention and meet a lot of other reviewers I had never thought I’d really get to meet. Getting to actually talk to some of these people in person was one of the highlights of the year since they were all just as nice and fun in real life as on their blogs! Also, my husband revamped the website and I have to say I’m very happy with the results and still love the new header. 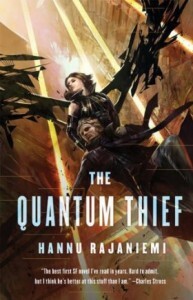 Getting to interview Ginn Hale and Danielle Bennett and Jaida Jones was also exciting and has made me want to try to do more interviews next year (and I’ve already got one lined up as of today that I’m thrilled about). Back to the books. As far as number read went, I read 50 (including one graphic novel) which is a little less than last year when I read 59 total. It’s still better than I thought it would be since it was somewhat of a crazy year, as it was also the year in which my husband and I became homeowners which ended up leading to moving twice in just 2 or 3 months. (Which is insane! I do not recommend it!) Due to the increasing number of random review copies coming through my door that I really want to read, I’ve read more books published this year than is normal – 24. There were still a lot of books published this year I wanted to read and haven’t gotten to yet, though (Cold Magic by Kate Elliott, The Spirit Lens by Carol Berg, The Half-Made World by Felix Gilman, Passion Play by Beth Bernobich and so many more!). For the main list, I’ve decided to do favorites for the entire year and then I’ll add the favorites published of 2010 to the end (these will overlap some, although I am limiting each to one book per author which means if a book isn’t on one of these another book by the same author may be on the other). 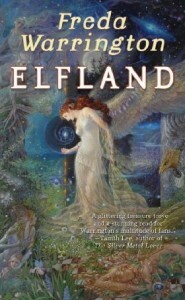 I’m sure it’s no surprise that my number one favorite book read this year is the lovely Elfland by Freda Warrington (review). 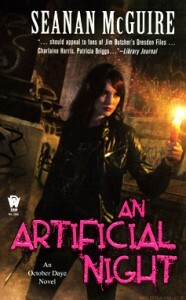 It’s a very character-driven, intense book and that made it right up my alley. Not only did I enjoy it, but it’s one of only three books read this year that were ones that I couldn’t stop thinking about. 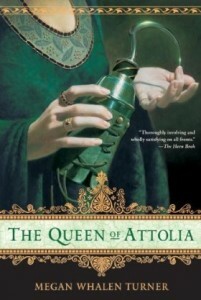 The second spot on this list probably isn’t all that shocking, either, since The Queen of Attolia by Megan Whalen Turner is another book I can’t stop talking about (review). It impressed me greatly with its subtle writing and emotionally charged story. And that last line? Such a perfect ending. It’s a little tough to choose whether or not I preferred the third or fourth book in the Kate Daniels series, but in the end, I have to go with the Magic Strikes since it never had a dull moment (review). 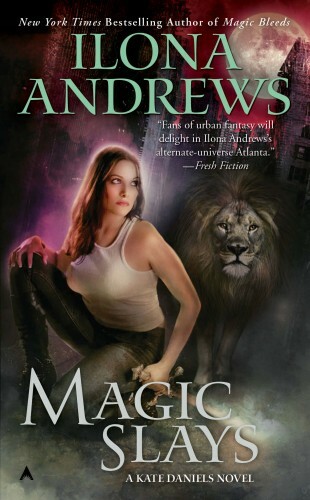 It was both action packed and full of character development, and I just love the way Ilona Andrews has been slowly revealing more and more about Kate’s background and building up the mystery about the villain. 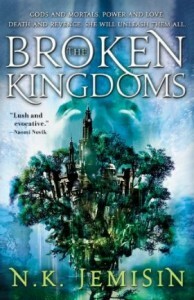 This was another one where I liked two books in the same series pretty close to equally, but I definitely preferred The Broken Kingdoms (review). With her first and second novel out this year and both of them incredibly good, N. K. Jemisin is an author I’m going to have to watch. I just loved her world mythology and the narrative voice of Oree. 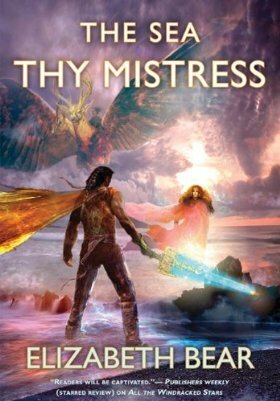 This was one story split into two so Lord of the White Hell really counts as one book in its entirety to me (Book 1 Review, Book 2 Review). I loved this book for so many reasons – the characters, both the romance and the friendships, the curse and the white hell, and the different cultures and how they clashed. The Habitation of the Blessed is a book that I enjoyed, but it’s also grown on me a lot more since finishing it (review). 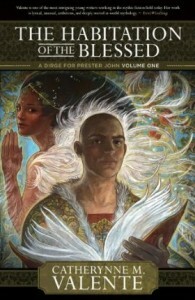 It’s vast and epically imaginative and gorgeously written. At times it’s also very thoughtful and insightful, and I’m looking forward to reading the next book sometime after it is out next year! 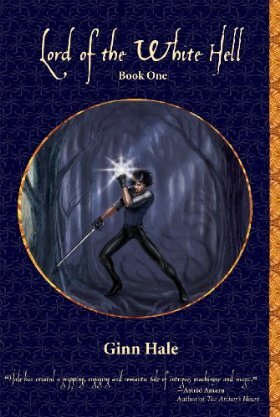 A lot of people don’t seem to like these as well as the first series, but I really enjoyed Naamah’s Kiss (review). Maybe it’s because I still haven’t finished the original series, but I liked reading about Terre d’Ange and later alternate China through Moirin’s eyes. I also liked that Moirin was a completely different character than Phedre with a completely different narrative voice that fit her better. 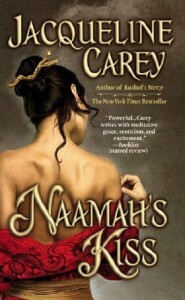 (While I also enjoyed it, I can see why people don’t like Naamah’s Curse, though – it is rather flawed). The Parasol Protectorate series just keeps getting better and better, and Blameless is my favorite so far (review). 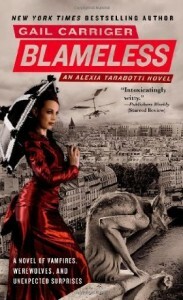 These books are both witty and just plain fun with lots of well-worded phrases. 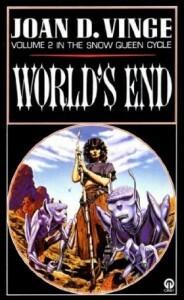 While it’s not as epic as The Snow Queen, I still was very glad I read World’s End (review). It was about one of my favorite characters from the former, and both reading about him and what happened at the end was fantastic. There were a couple of books I considered for the tenth spot, neither of which I’ve reviewed yet since I just read them both, but I wanted to mention them since they were in consideration: The Folding Knife by K. J. Parker and Memory by Lois McMaster Bujold. What are some of your favorite books of the year? Which books coming out next year are you really excited about?